relaxing in luxury and comfort. until the moment you return to shore. A super yacht and a super offer! Discover this exciting opportunity to invest in Adventure and Luxury! Enjoy the fabulous yachting lifestyle available onboard this stylishly designed Lagoon Seventy 7 catamaran we call the TradeWinds 20/20. This state-of-the-art yacht will start its circumnavigation of the globe in the summer of 2021, commencing a 6-year voyage of discovery. Become a 25% shareholder in this magnificent yacht, and experience 2 – 3 unique destinations per year. Just decide when you want to come sailing, and your professional crew of three will be there, at your service. Exclusive Owners Events, curated specially for our yacht investors. In the summer of 2021 TradeWinds will introduce the TradeWinds 20/20 - an elegant and luxury "Super Yacht" that is definitely in a class of it's own! This magnificent yacht is synonymous with first class luxury, elegance and opulence and will certainly make waves thanks to it's unparalleled design. 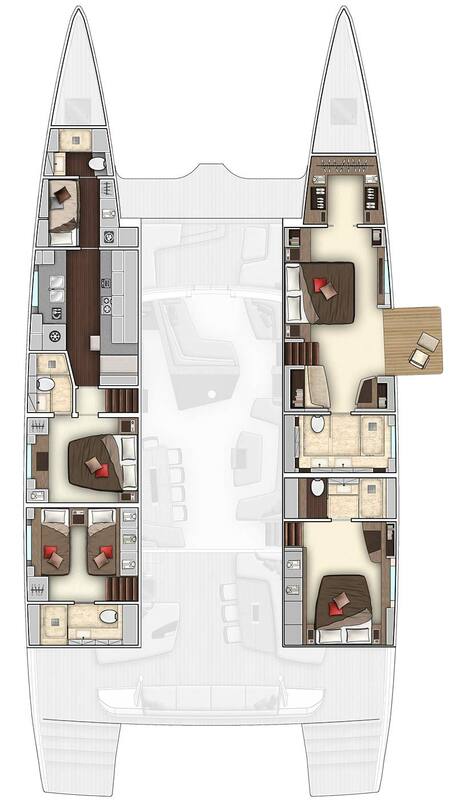 Encapsulating a unique blend of style, sophistication and fun, the TradeWinds 20/20 has been designed for the most discerning of guests. The large windows provide plenty of natural light and the beautiful Italian designed interiors take style and comfort to the next level. And discover the world's first Master Suite with your very own private beach - a hydraulically activated balcony giving you and your family direct access to the stunning waters below. 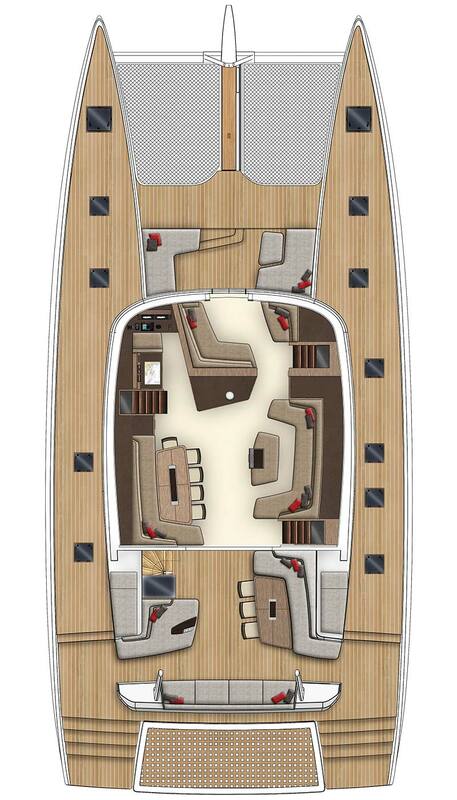 sail area 335,4 m2 / 3609 sq.ft. TradeWinds is offering a unique and exciting opportunity for two families to own a 25% share of this fabulous super yacht! These two "shareholders" and their families will enjoy the unparalleled luxury of free cruising on this amazing yacht each year for up to eight people. You will be given special Ownership benefits which will give you more cruising on this or any other yacht in the TradeWinds fleet. We pay all the ongoing costs. Could you see yourself and your family sailing the beautiful waters of the TradeWinds world on this stunning yacht? Contact us for more details.